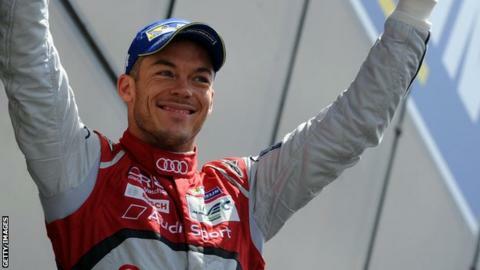 Three-time Le Mans 24 Hours winner Andre Lotterer will replace Japan's Kamui Kobayashi at Caterham for this weekend's Belgian Grand Prix. Lotterer, 32, has never raced in Formula 1 but the German did have a spell as Jaguar's test driver in 2002. A Caterham team statement did not indicate how many races Lotterer would contest but did say Kobayashi "still remains part of the team". Lotterer will partner regular Caterham driver Marcus Ericsson at Spa. A Caterham statement read: "Lotterer will replace Kamui Kobayashi for this round of the championship. "The team will benefit from having another experienced driver at the wheel of the car throughout the weekend and the German's feedback will contribute to improve the performance of the car." Lotterer said: "I am delighted to be given the opportunity to take part in a Formula 1 race weekend - I want to thank Caterham for this chance. "I'm ready for this challenge and I cannot wait to jump in the car and make the most out of the weekend ahead." Kobayashi, 27, joined Caterham at the start of this season, having been forced to sit out 2013 after losing his Sauber drive. The Japanese driver, who has also raced for Toyota in F1, has contested 71 grands prix, scoring 125 points and claiming a podium finish for Sauber at his home race at Suzuka in 2012. Caterham remain without a point in F1, four years on from entering the series. The team was sold by long-time owner Tony Fernandes to a Swiss and Middle Eastern consortium in July. More than 40 members of staff were subsequently laid off as the new owners looked for a way to reduce costs.